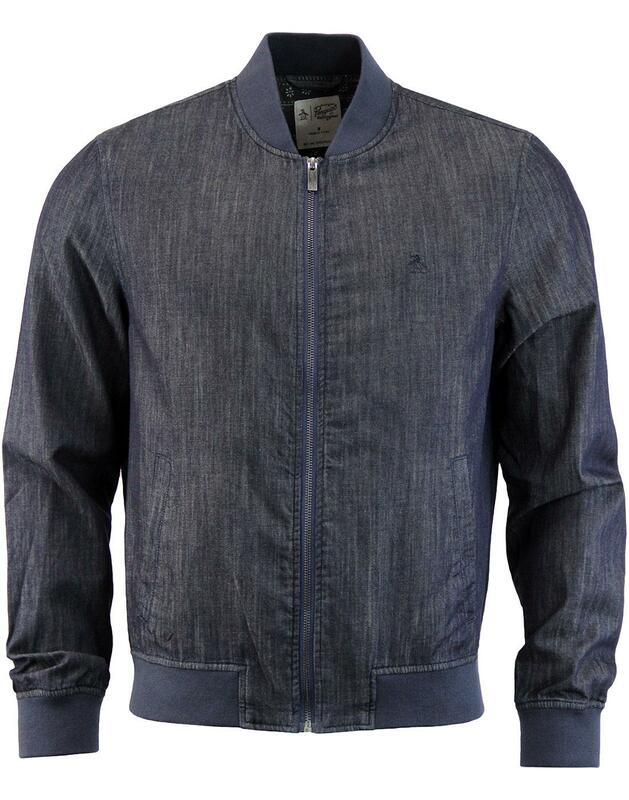 Original Penguin Men's Retro Indie Denim bomber jacket. 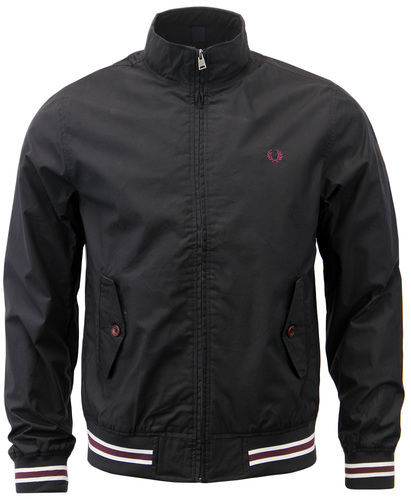 A Fab Jacket with bags of Mod Revival style. 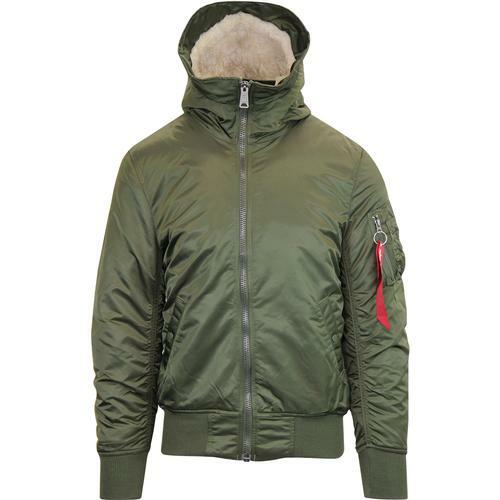 Classic Bomber jacket silhouette with elasticated collar, cuffs and hem and front slant pockets as well as a short waist fit. Cool 70s denim has a fab rinse feel and a dark indigo denim look. Paisley body lining looks awesome and makes this jacket ideal for the autumnal months. A fantastic fusion of western denim and 70s Mod Revival fashion from Original Penguin By munsingwear. 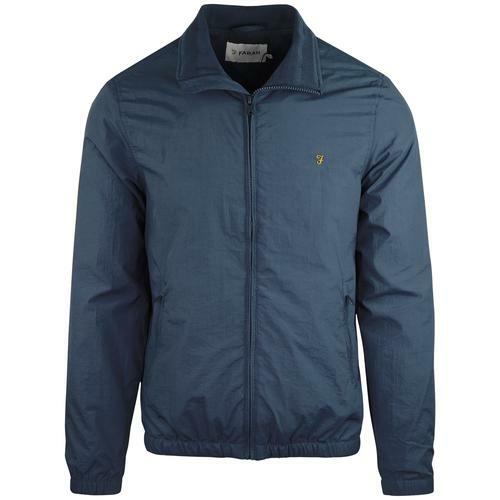 - Original Penguin men's Retro Denim bomber jacket. - Mod Revival blouson bomber fit. - elasticated collar cuffs and hem. - Two frontal slant pockets. - Psychedelic Paisley lining with inner pocket. - Original Penguin signature zipper. - Tonal Penguin logo to chest. Composition: Shell: 100% cotton. body/sleeve lining: 100% polyester. Care: hand wash only. Please refer to garment care label.